Blast the enemy with tough Baze Malbus! Help Baze use his battle-tested skills to take on the Empire! Build the figure and put him in a battle pose, then load his heavy cannon with spring-loaded shooter and get ready to fire. This battle-hardened warrior is in the mood for action! Buildable and highly posable Blaze Malbus features red chest and shoulder armor, and a heavy cannon with spring-loaded shooter, spare ammo and ‘power’ canister. Load the heavy cannon and get ready to blast the enemy. Recreate thrilling battle scenes from the blockbuster movie, Star Wars: Rogue One. This figure offers an age-appropriate build and play experience for ages 9-14. 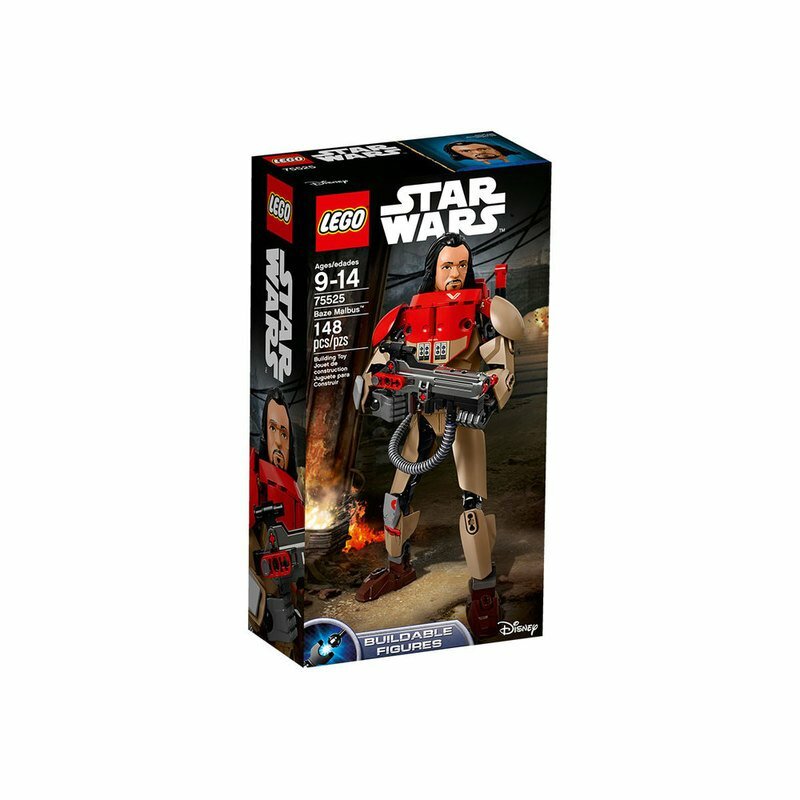 Team up with 75524 Chirrut Îmwe and take on the Empire! Figure stands over 9” (25cm) tall.